MCOR’s advanced mechanical polymers have been developed specifically for the rebuild, repair, improvement and maintenance of machinery, equipment and other industrial assets. These solutions are used with repair polymers and protective coatings. The company’s products range from exterior and internal component coatings and liners, to reclaiming and cladding polymers, as well as elastomers and polymeric cements. The portfolio of MCOR solutions will address repair and protection requirements for both steel and concrete assets. MCOR has invested significantly in the research and development of its product line to continuously enhance industrial performance and reliability, while expanding various applications needed to combat corrosion and wear. The result is a product line for protection and restoration to extend the operational cycle and life expectancy of existing equipment. MCOR products serve a variety of industries, including water and wastewater, oil and gas, petrochemical, marine, power, facilities maintenance, pulp and paper, as well as general manufacturing, while focusing heavily on mining and quarrying. These industries are exposed to adverse environments and any downtime needed to repair or replace equipment leads to decreased productivity and increased costs. MCOR looks to bridge this gap by offering efficient cold-weld alternatives, rebuilding grade epoxies and high-performance coatings to further protect the asset exposure and maximise its life and performance cycle. MCOR’s technologies are designed to provide a fast return to service to ensure customers avoid costly downtime. The company’s internal and external coatings are formulated with fast-curing novolac, ceramic, and similar epoxies, designed to handle extreme chemicals, abrasion and high-temperature environments. While the restoring compounds are made for alternative tooling and machining metal needs, in addition to other rebuild, form, fill, reclaim, line and repair solutions for metal, rubber and concrete. MCOR product lines start with the 1000 Series, which are high-performance coatings for exterior protection in adverse environments. The 1000 Series products are component coatings exposed to caustics, acids or other corrosives. Often used as a coating solution for submersed parts, the immersion grade coatings are industrial-type for high chemical contact protection and general protection against industrial, elemental or corrosive attack or containment. The 2000 Series products are also component coating technologies for interior protection against caustics and acids, but further enhanced to combat high-velocity abrasion, wear and heat. The line is made to offer high-performance coatings and liners for internal mechanical components. The 2000 Series is often utilised as a coating solution for the interior surfaces of parts, pumps, impellors and other flow or transfer areas. Typically formulated with either a high content of ceramic or metal, the protective coatings in this line offer asset life extension solutions on wearing areas. For a metal repair solution, alternative weld solution, machinable and non-machinable grade epoxies or for lining alternatives to steel plates, look no further. Exploring the MCOR 3000 Series brings you advanced and high build repair polymers for precision reclaiming, metal filling, and high build wear with cladding. The mClad product line provides machinists and mechanics solutions in their toolbox to perform cold-welding, repair and reclamation of steel parts; whether filling scores, reclaiming warped housings, or seeking weld or sacrificial steel alternatives, the mClad series provides the solution. Line troughs, reline volutes, rebuild and tool with machinable epoxy, the 3000 Series kits are a must for robust repairs to asset fixes with a quick turnaround. Similar to the 3000 series, the 4000 mFlex series provides fillers, seals, and repairs to flexible components or areas needing elongation. 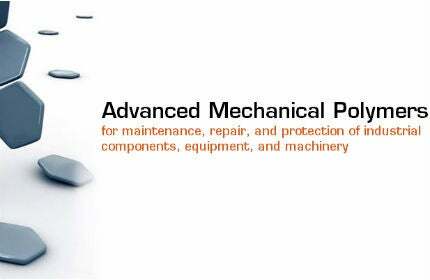 They create or repair seals, gaskets, belts and other field abused rubber parts. In addition, the 4000 mFlex series can also be used on unique items to absorb vibration and impact with flexible foundation materials and padding polymers. The 5000 Series is specifically formulated and organised to offer various concrete repairs and protection. The mCrete line of products is an extension to the maintenance tool box, offering quick and lasting repair solutions. Whether filling, patching or injecting structural grade epoxies for concrete spalls and cracks, the mCrete products will go beyond and seal, provide structural reinforcement, create permanent patches and offer sectional lining to concrete components and other masonry structures. Over the years, companies that provide industrial services and solutions have come under close scrutiny due to mandated policies, practices and procedures. Novolac resins protect surfaces in concentrated chemical environments. The easy-to-use resins are applied to surfaces of equipment and machinery to offer sustained protection against abrasive, corrosive environments. MCOR has released a paper on pumps and the effects of fluid flow - download the free white paper here.